Greece has started construction of a 12.6-km-long razor-wire-topped fence designed to keep out migrants, but described as "pointless" by the European Commission. The fence, costing an estimated €5.5 million, is being built in the Evros region on the Greek-Turkish border where the vast majority of irregular migrants try to cross into the EU. It is to be completed in September. 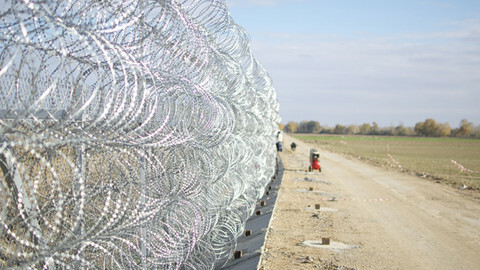 The European Commission on Tuesday (7 February) said the fence is a national issue. 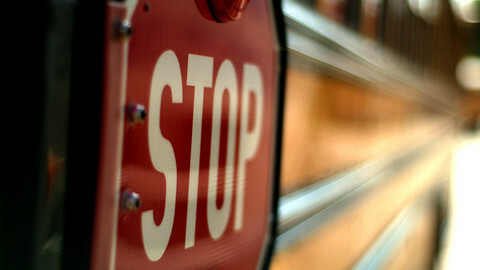 But it also poured scorn on the project. 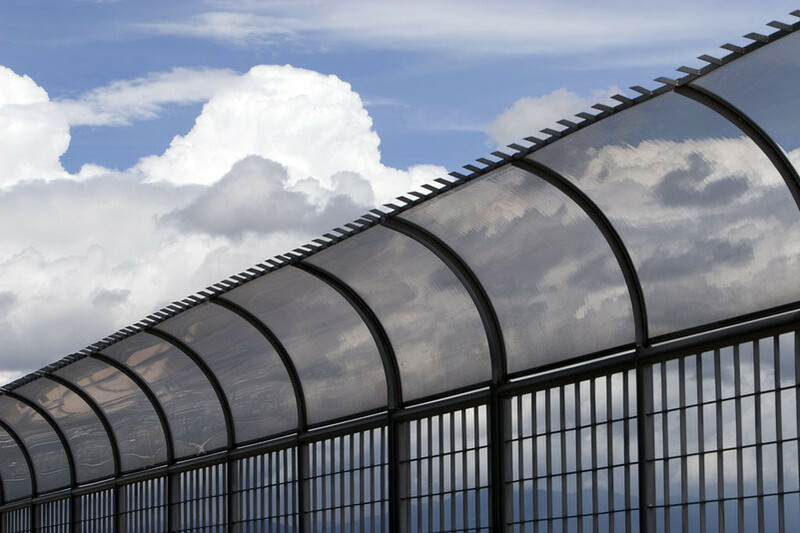 "Fences and walls are short-term solutions to measures that do not solve the problem. 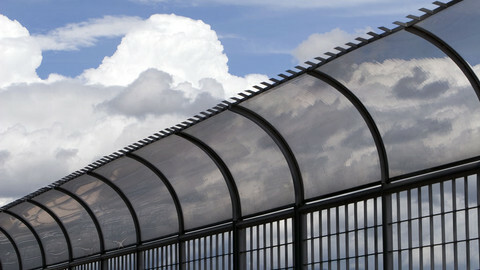 The EU is not and will not co-finance this fence ... It is pointless," a spokesman for home affairs commissioner Cecilia Malmstrom told press in Brussels. Just one day earlier, Christos Papoustis, a former European commissioner and currently Greece's minister for citizen protection had said the fence has both "practical and symbolic value." The Greek-Turkish border is for the most part a 180-kilometre-long river patrolled in part by Frontex, the EU's Warsaw-based border control agency. Near the city of Orestiada, the river loops east and runs for about 12 kilometres on the Turkish side, with the Greek-Turkish land border located in this loop. In January, some 2,800 migrants tried to cross through the strip, down from around 6,000 a month in summer. Most people come from Afghanistan, followed by Pakistan and Bangladesh and most claim asylum or refugee status. Migrants from North Africa are the second largest group, with Algerians and Moroccans the most numerous. The perilous journey across the Mediterranean Sea, which killed almost 1,500 people last year, makes the Greek-Turkish crossing a more attractive alternative. But the land border is not without its fatalities. In mid-January, the corpse of an unidentified Asian man was found near Orestiada. A week later, a young Palestinian died after being rescued from an islet in the Evros river. A few days later, an African woman was found dead on the riverbank. All had apparently died from hypothermia, Frontex said. 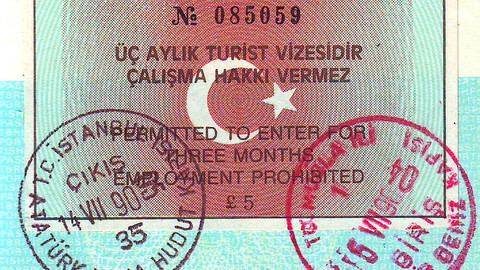 Turkey's visa-free regime with some countries also makes the border a crossing of choice, Benjamin Ward of Human Rights Watch told this website from New York - nationals from Kazakhstan, Kyrgyzstan, Syria, Jordan, Libya and Iran do not need a visa to enter Turkey. Ward said the real problem is not the flow of people but the fact that Greece does not have the capacity to cope and that EU asylum rules - the so-called Dublin regulation - make matters worse. Under EU law, the entry-point member state is alone responsible for handling a person's asylum case and other member states must return asylum seekers to the entry-point spot if they find them. "The migration problem can only be resolved by addressing Greece's crisis in its own internal asylum system and EU agreement to reform the Dublin regulation that puts an unfair burden on Greece," Ward said. He noted in his blog the Greek asylum system is so dysfunctional that in 2010, out of the first 30,000 applications considered, just 11 were approved. A number of recent decisions back up his analysis. In January last year the European Court of Human Rights in Strasbourg urged members not to transfer asylum seekers back to Greece because they face ill treatment. In November, Germany put transfers to Greece on hold. In December, the EU court in Luxembourg said people cannot be transferred to other EU countries where they face "inhuman and degrading treatment" - the ruling was in the case of an Afghan man who entered Greece and made his way to the UK. Meanwhile, NGOs fear that fencing off the land border will divert refugees - such as families fleeing violence in Afghanistan and Syria - to more dangerous routes in the western Balkans or Ukraine. "It would be a tragedy if this actually worked as it would prevent refugees from seeking protection and this would constitute a violation of their human rights," Allen Leas, the head of the Brussels-based European Council on Refugees and Exiles said. Athens on Sunday has slammed the "hypocrisy" of unspecified EU member states criticising its plans to erect a wall on the border with Turkey, while at the same time denouncing its incapacity to stem irregular migration. Meanwhile, neighbouring Bulgaria claims its own Turkish frontier is "safer" than the Greek one. Turkey's EU affairs minister has described the Greek anti-migrant fence as a symbol of division between the Union and outside countries. Fewer than 10,000 asylum seekers registered in Greece last year, but its handling of the EU border with Turkey has come under fire from fellow member states. An EU-co-financed project is aiming to mass-produce autonomous land vehicles designed to stop irregular migrants. A 12.5km fence rolled with barbwire along the Greek Turkish border is part of a larger initiative to secure Europe from migrants seeking a better life. Nearly 30,000 irregular border crossings were detected on Europe’s external borders in the last three months of 2011, the European Commission said on Wednesday. 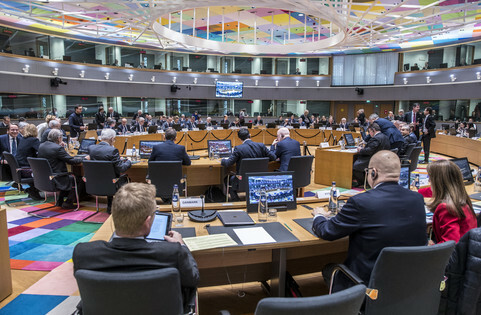 EU states have rejected a commission proposal to blacklist Saudi Arabia and four US territories on money laundering and terrorist financing grounds. 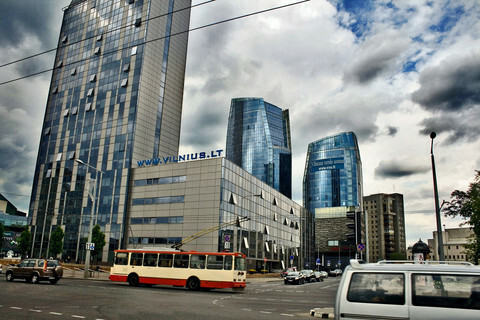 A now-defunct Lithuanian bank was used to help move billions of euros of suspicious money out of Russia, according to leaked documents.